Walking a few miles can make a world of difference. My treadmill desk has helped me walk up to five miles a day while I work, and it’s helped me lose weight as well. You don’t have to break the bank to create a treadmill desk setup for your work space. Three and a half years ago, I was on the precipice of my 30th birthday and my back hurt. I’d been working from home full time for five years, but the sedentary nature of a writer’s life had only just begun to catch up with me. Luckily, I didn’t have to ask a boss for permission to change my work setup, and set about building a treadmill desk setup for my office. Now, I walk four or five miles a day while working. In fact, I’m strolling at a leisurely two miles per hour while writing this article. With lower back pain a distant memory, I’ll never look back. The health benefits of walking are well-documented. It helps get blood flowing to the brain and can ease joint pain and boost immune function, among other things. Specific research of treadmill desk usage, however, such as this study in the journal PLoS One, has shown that there’s a small hit to cognitive function — both learning and typing — while walking and working at the same time. But other studies, including this one in Computers in Human Behavior, showed increased attention and memory after walking. But why not have it both ways? You just need to be strategic in your habits. I find walking at a slow pace perfect for checking email, doing low-level tasks and busywork, and even the occasional piece of writing (though it does slow me down a bit, and I will always edit on unmoving ground). That echoes findings from previous Business Insider reporters, but both test cases like that and most studies often miss the effects of using a treadmill desk long-term. I’ve been using mine for years, and while I still have to sit to do serious critical thinking or work on complicated tasks, walking while typing has become second nature. And days where I’m using it less frequently, I definitely notice. Walking helps keep me happy and my energy up. Even walking four or five miles a day isn’t going to have a huge impact on weight loss on its own. So while my intent initially was to get healthier, I had no illusions that walking alone would help me lose weight. But when I paired my treadmill desk habits with calorie counting apps, it helped me lose 12 pounds in five months (which might not sound like a lot, but was the target I was going for). The treadmill desk was crucial to my weight loss success because I’m frankly a bit of a hedonist. I didn’t relish giving up my evening tipple or the occasional rich meal. But I could see that if I just walked an extra mile or two during the workday, I could suddenly afford that Thursday evening Manhattan in my calorie budget. In other words, I didn’t have to compromise too much on fun to get a little healthier. One big barrier to folks for using a treadmill desk is cost. Professional setups run into the thousands of dollars. This humble freelance writer does not have thousands of dollars for a treadmill desk setup. Luckily, as long as you’re not planning on using your treadmill for running around — you know, actual high-intensity exercise — budget options can get you a treadmill desk setup for under $650. My setup consists of an adjustable computer desk from Stand Up Desk Store, available on Amazon for $339, and an older model of the Confidence Power Trac Pro folding treadmill, available for $260. If you have wooden floors, you should put a foldable equipment mapunderneath. 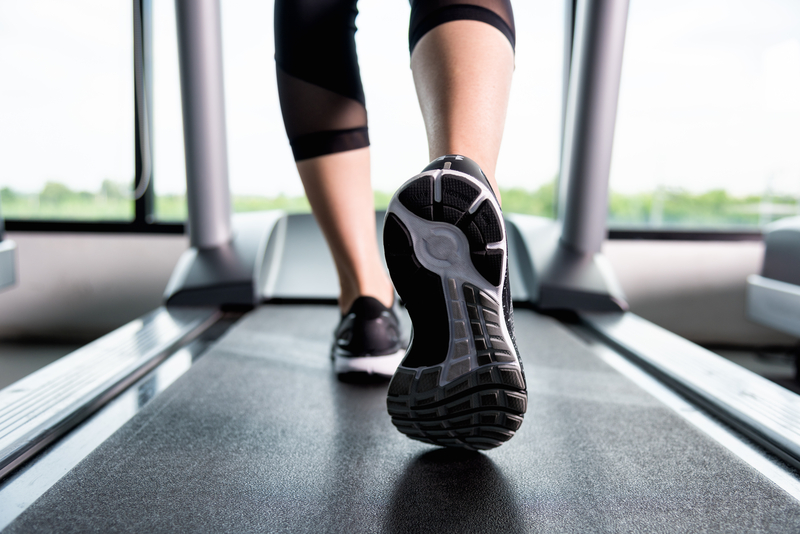 It’s still a monetary investment, and you will have to put in a little work to remove the treadmill bar and reconnect the console, but your cardiovascular health and mental well-being will thank you for it.